The largest ever anywhere, the $325?million federal dam-removal project on the Elwha took out the Elwha and Glines Canyon dams, built beginning in 1910 to provide hydropower for Port Angeles and the Olympic Peninsula. About 2,000 chinook spawners were counted above the former Elwha Dam the first season after the dams came down. The first concrete went flying in September 2011, and Elwha Dam was out the following March. 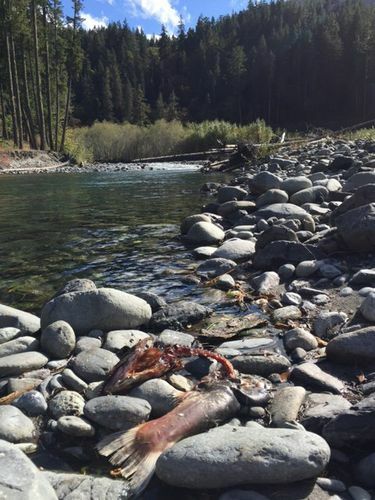 Glines Canyon Dam upriver tumbled for good in September 2014. Information in this article, originally published Oct. 17, 2016, was corrected Oct. 17, 2016. 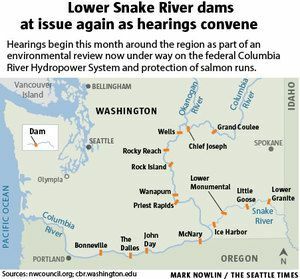 A previous version of this story misstated the number of chinook that returned to the Elwha River system the first season after dam removal were above former Elwha Dam.